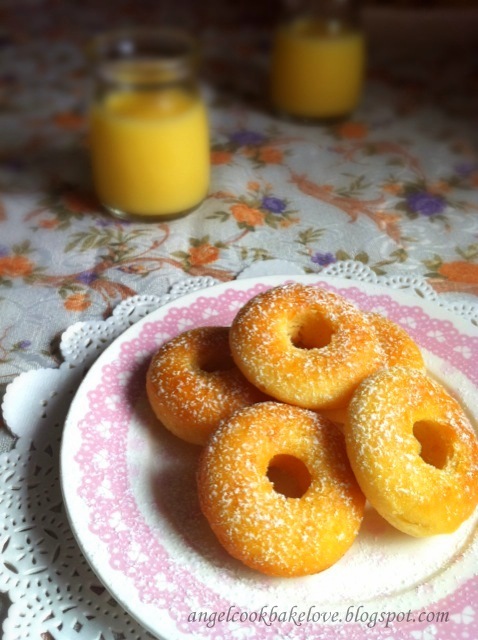 I had turned the remaining batter of the Everyday Yogurt Cake into baked mini donuts. Due to the size, these mini donuts were very crispy when there were just out from the oven. I think they look equally good as the heart shape one when they were served in my new plate which I received from a new friend. Thank you Sally if you are reading this. Check out my other baked donut HERE. Wah you got two moulds. I regretted not getting one more, so that I can bake two trays at the same time. Looking forward to seeing your baked mini donut. Awesome idea. 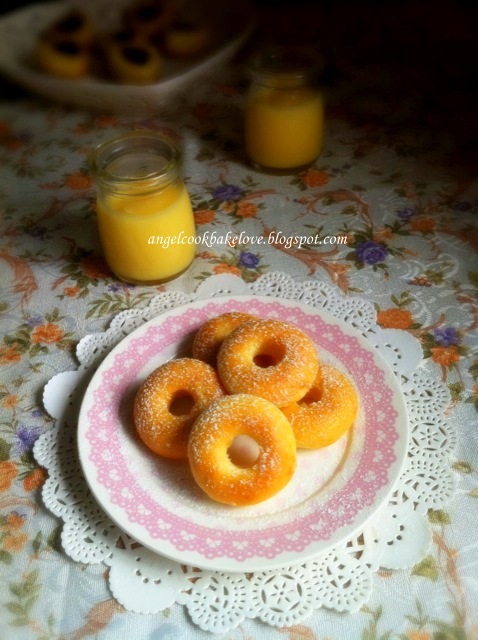 I wanted to bake that yoghurt cake too and my girl wanted donut. Might have to steal your idea. what a terrific idea to turn them into donuts! 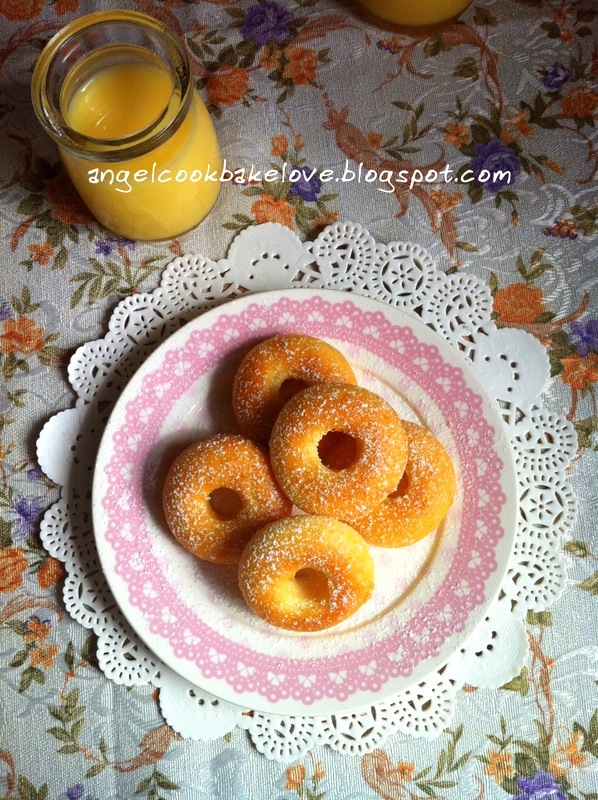 now you're making me want to get a donut mould!! Go and get it soon. It is fun to play with. i like this, very cute. Wow....looks so golden and beautiful. Love it. THanks for your lovely comment. Please help yourself with the mini donuts. so pretty and so cute, my kids will love this! My boy loves it too!